Open Tilda: Settings site > Forms > UniSender. 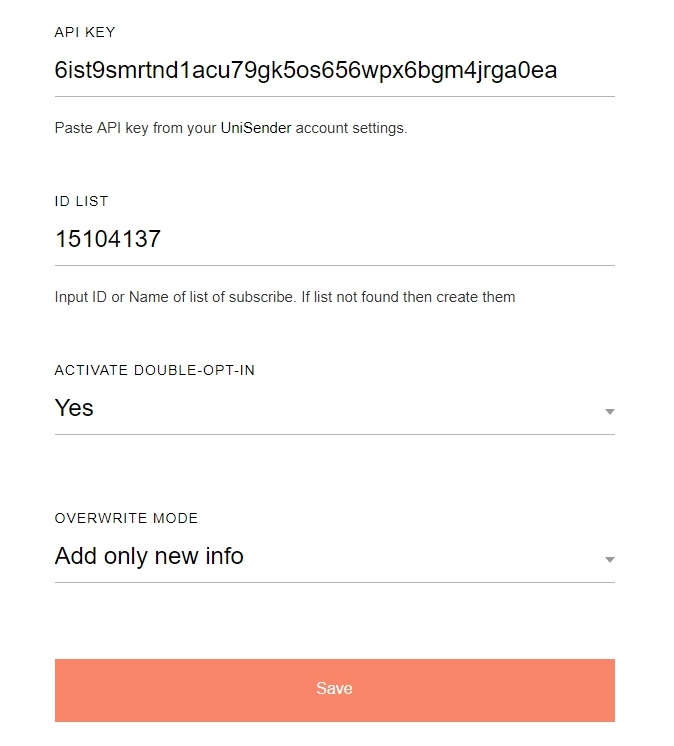 We fill in the form for connecting to UniSender. We paste the API code, Code list (id) and activate the double-opt-in. 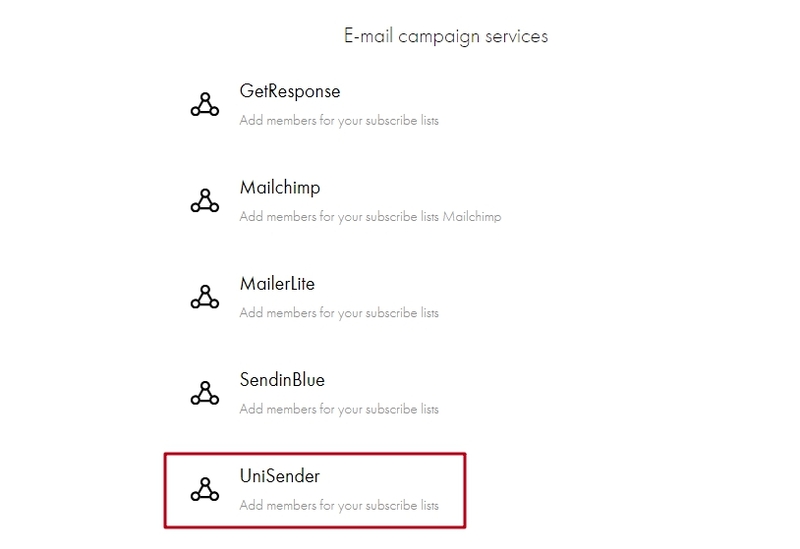 After connecting to UniSender at Tilda, you must return to the set up and UniSender “Opt-in and opt-out tools“. If you don’t do this, the contacts won’t get into this list. Now we go to the page, insert the desired block with the form and content, and then open the Content menu. In “Connected Services” select the list and save. The user deleted the inspector, then created a new one, but in the form did not specify a new client manager and pereopublikovali page. 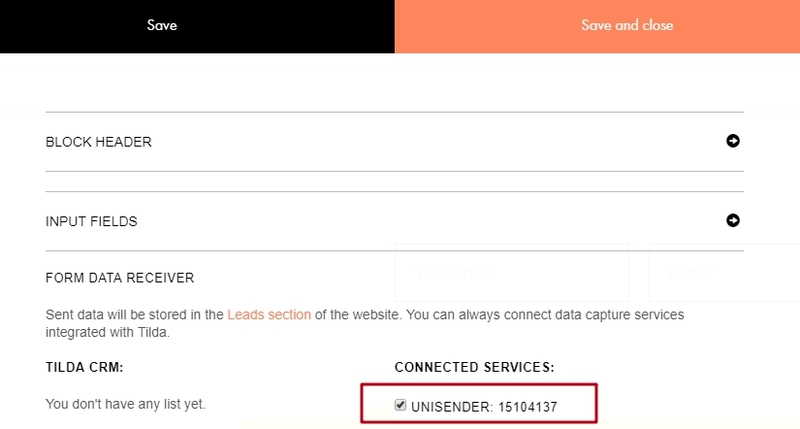 Monitoring errors: going to Site Settings -> Forms and there click on “Details” in the desired service, you will be able to see the last 5 errors that occurred when adding contacts to UniSender, as well as the number of contacts received.